Enjoy the benefits of growing your own delicious tomatoes this year with HomeLeisure’s range of products designed to make tomato growing easier for you. These specialist tomato growing products are practical and available in a range of sizes and features so there’s one to suit your growing needs and location. 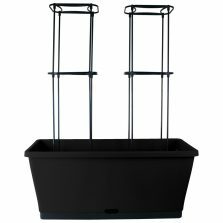 Some feature a trellis kit, also available separately, to help your tomato plants grow big and strong with the support they needs to produce beautiful, delicious fruit, and help prevent annoying plant diseases. Your plants will be full, healthy and bushy. These tomato growers with trellis kits are also great to help other plants that need support too, such as sweet peas, passionfruit and clematis – any plant that requires support will love growing in these. 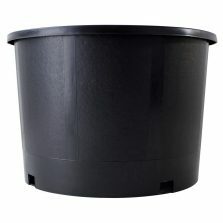 And because they are made to last, you can reuse these specialist pots to grow other plants once tomato-growing season has finished. We have a variety of products to help you grow your own tomatoes this year, no matter your style or needs. These great tomato-growing products are available at your nearest Bunnings Warehouse. Here are some tips to help you on how to grow growing big, beautiful tomatoes this year. First, ensure you prepare the soil properly. This can include digging- and mixing-in the quality potting mix with compost and tomato-specific fertilisers. Tomatoes will grow well in just about any soil provided that they are well drained and enriched with manure (however avoid adding too much) and fertilisers. 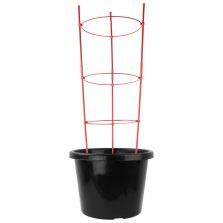 If you have purchased one of our tomato growers with a trellis kit, follow the enclosed instructions for putting it together. Build the structure first and then fill with good quality vegetable potting mix. Place your tomato plants so that they will grow up through the centre of the trellis tower, then water them in well. Tomatoes like the warmth and despise the cold. So in warm, frost-free regions, tomatoes can be grown throughout the year. In cooler climates, ideal planting times are from the end of winter through to spring – most importantly after the final winter frost. Position your tomato plants so that they get at least six hours of direct sun each day. With our range of pots, have you considered growing indoors if you have a very sunny spot? 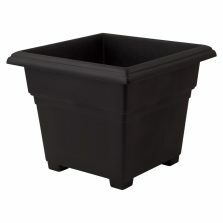 With our WaterSaver range, regularly check that there is water in the water reservoir and fill it when it gets low – while the plant is very young you may want to water the soil to help it take hold. Water your plants directly into the reservoir and not onto the plant, because wet leaves and splashed soil onto the plant helps breed fungal and bacterial diseases. Make sure there is always water in the black water reservoir so that it can wick up to the roots of the plant. Ensuring a consistent water supply with help avoid fruit cracking on the vine. To encourage bigger fruit, pinch off the small leaf shoots that grow in the fork of branches and the main trunk of the plant. 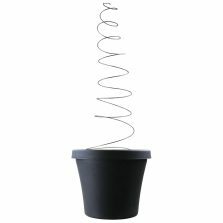 This will encourage the plant to put its energy into flowers and growing larger fruit. Some believe that once your plant produces flowers (which turn into tomatoes), all leaves and branches below that first branch should be trimmed off. In any case, the pinching- and trimming-off of excessive leaf growth will allow more air to circulate around the base of the plant and deter pests and diseases. The tomato’s most notorious disease is ‘tomato blight’, a fungi that attacks the plant at three different stages in three ways. Septoria blight, also called ‘leaf spot’, is the most common form and affects the plant’s leaves and can cause fruit to burn. Early blight can hit after heavy fruit growth with rings appearing on the leaves then cankers growing on stems. Late blight is the least common yet worst form with pale-green spots on leaves growing to black lesions and stems. While there are products to help avoid the potential onset of blight, the best treatment after its onset is to burn the entire plant and anything else the fungus may have come in contact with. By starting with fresh potting mix in your new pot, along with a preventative fungicide treatment on your seedlings, you should have a great start for a successful tomato season! Tomato plants enjoy some calcium and magnesium. You can add calcium with bone meal which adds phosphorous to help produce blooms and therefore more fruit. Feed your plants regularly with a weak fertilizer to ensure a steady intake without overdosing. Nitorogen only encourages leaf growth which takes away from fruit growth, so instead choose a fertiliser with higher phosphorus and potassium levels. You can find fertilisers specifically for tomato growing at hardware stores.